Mobilgard 540 is to be made available from the first quarter of 2019. ExxonMobil has developed a newly formulated 40BN cylinder oil, Mobilgard 540, that the company says is specifically designed to work with the low-sulphur fuels the vast majority of the marine industry are expected to adopt for compliance with the International Maritime Organization's (IMO) 0.5 percent sulphur cap. Mobilgard 540 is to be made available from the first quarter of 2019 and is formulated to be compatible at any volume with ExxonMobil's current cylinder oil offer in a move aimed at ensuring that vessel operators can safely and efficiently switch to compliant fuels with complimentary cylinder oils. The new lubricant will replace Mobilgard 525 and can be used for vessels operating in 0.1 percent Emission Control Areas (ECAs). "This means vessels with non-corrosive engines that burn compliant residual and distillate fuels only need to carry one cylinder oil," ExxonMobil explained. Iain White, Global Field Engineering Manager - ExxonMobil, remarked: "We anticipate deliveries of Mobilgard 540 to start during the first quarter of 2019, which will provide our customers with plenty of time to run down stocks of cylinder oils ahead of the IMO deadline. "The new lubricant will be available across our global port network and via our extensive distribution network, underlining our commitment to support the maritime industry on a seamless transition to a compliant future." 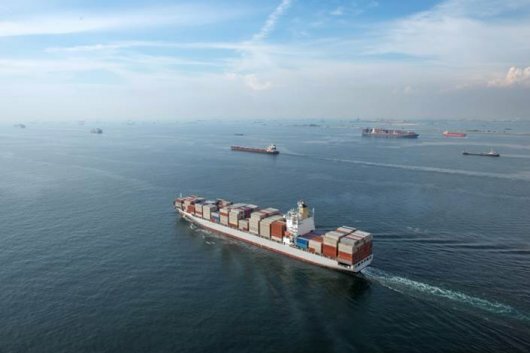 ExxonMobil has advised vessel operators who plan to switch to low-sulphur compliant fuels should consider now how they plan to run down stocks of their cylinder oils in advance of the IMO deadline, so they can minimise the mixing and disposal of redundant products where possible. "Operators should work closely with suppliers to help manage lubricant inventories to achieve the most efficient switchover possible ahead of 2020," the supplier said. ExxonMobil says it will continue to supply high BN cylinder oils for customers that choose scrubbers as their method of compliance. A new ultra-low BN formulation suitable for customers using LNG is also said to be in development using ExxonMobil's bespoke slow-speed test engine. ExxonMobil has previously confirmed that all its IMO 2020-compliant, 0.50 percent sulphur fuels developed to date are residual grades - ranging from RMD 80 to RMG 380, meeting specification levels set out in ISO 8217:2017 - and compatible with each other, provided that bunkering, storage and handling best practice guidance is followed. Further information on Mobilgard 540 along with a fuel and lubricant management guidance will be shared during the company's 'Journey to 2020' symposiums series. The first of these events is being held at the Equinox Complex in Singapore on October 26, followed by events in Hong Kong, Taipei, Athens, Tokyo, Imabari, Copenhagen and Hamburg.